Just a quick post to share with all of you a recipe which I’d cooked for lunch today, and incidentally, a dish which I enjoy very much as a child, Chili with Taucheo Stingray. 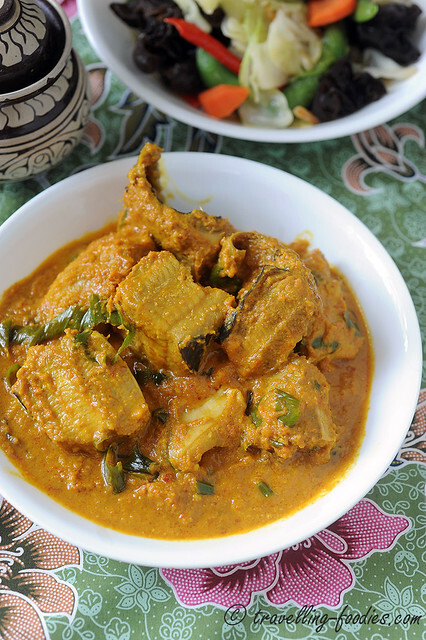 It is a very quick dish to prepare and doesn’t require complicated rempah making. 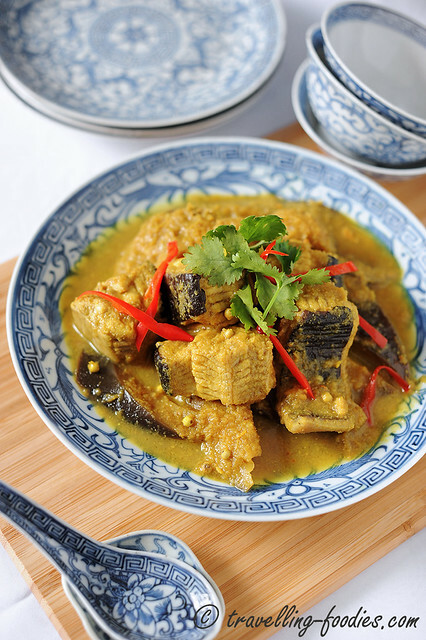 Yet the flavours are so robust and refreshing, excellent to go with rice or Teochew porridge! Weather has been really cranky of late and many around me seems to be down with something. I was suppose to show my “moral support” for a friend Catherine whose hubby and kiddos had fallen sick by cooking porridge for yesterday’s meals but as I was at a local supermarket getting some ”porridge supplies” like century egg, the uber fresh stingray steak at the seafood section was calling out at me!!! I knew I had to bring them home and seems like fate has it that I should have some bunga kantan and daun kesum bought just over the weekend, still hibernating in the fridge. Ikan Pari Asam Pedas it seems destined to be! Most rendangs that I know of are cooked with beef or mutton. Chunks of meat which have been thoroughly cooked through and through from the prolonged simmering to make the meat so tender that it just flakes and crumbles with the slightest pressure from the fork, they are the kind of rendangs which I enjoy tremendously. Chicken rendang, well… I am a bit “iffy” about this. While I love chicken dishes generally, I feel that poultry doesn’t really do full justice to the rich and exuberant sauce concocted through the melange of spices used. I prefer them in curries. Same as rendangs you would say? Though subtle, there are still underlying differences between the two. 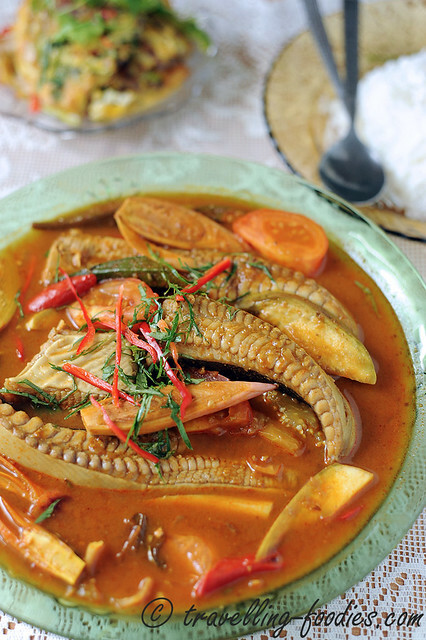 I was searching for a fish recipe for Perak when I came across one which uses stingray. Well done, since it is one of my favorite fish! But what I read next struck me as being really weird! Stingray in a rendang, surely that is unheard of! Then again, stingray does have a much more robust texture than other fish varieties so it might just work… Well, only one way to find out! 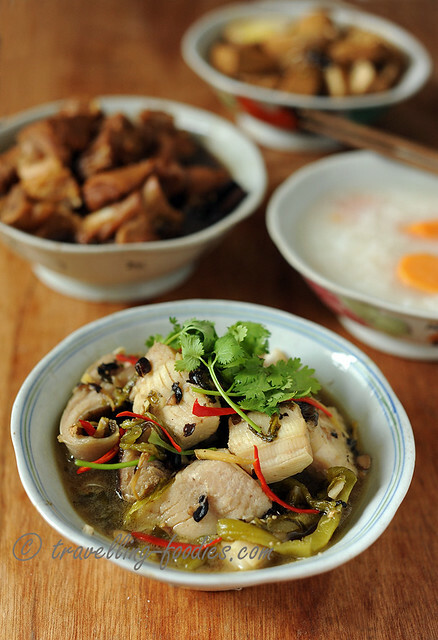 We cook asam fish all the time at home. In fact, whenever the belimbing trees are laden with fruits, those few days are asam fish days. 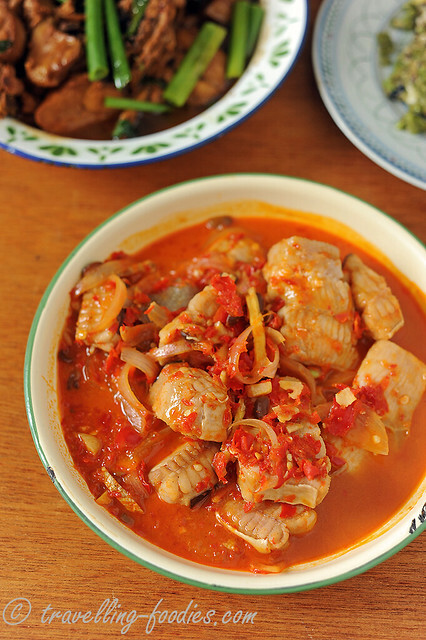 For us at home, Ikan Gerang Asam is the default way of cooking asam fish. But of course there are geographical variations to how asam fish is cooked. 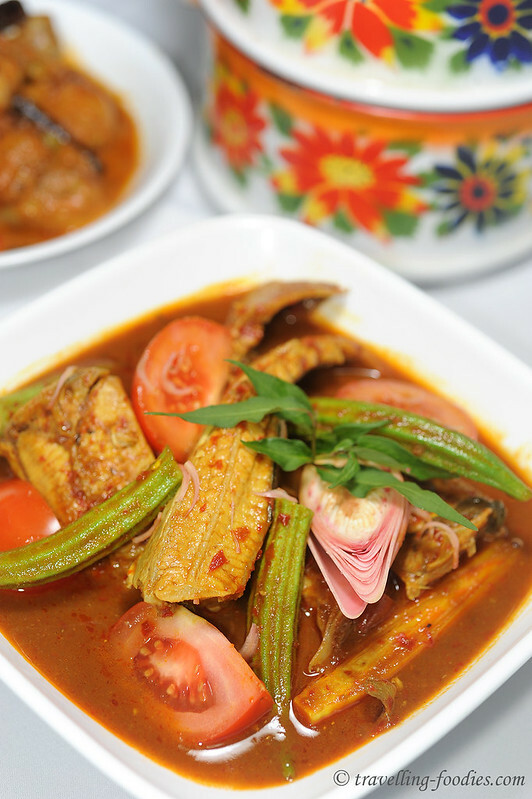 Ikan Gerang Asam, the Melakan peranakan of preparation depends heavily on the use of daun limau purut (kaffir lime leaves) amidst other fresh ingredients like lengkwas (galangal ginger) to work up the aromatics! And that most certainly helped to work up an appetite! When I was preparing Laksa Belut Perlis, the famous eel laksa from the most northern Malaysian state in the Peninsula, all the rempah (blended ingredients) were basically boiled together with the broth base without any sautéing. But yet, it was still very delicious. And this month’s MFF brings me down all the way to the far south, to the bordering state of Johor for Ikan Pari Asam Pedas.